Affirmative Action: What are Sufficient Levels of Diversity? Posted By:@AVGJOhanna | At:2:38 PM Be the first to comment! 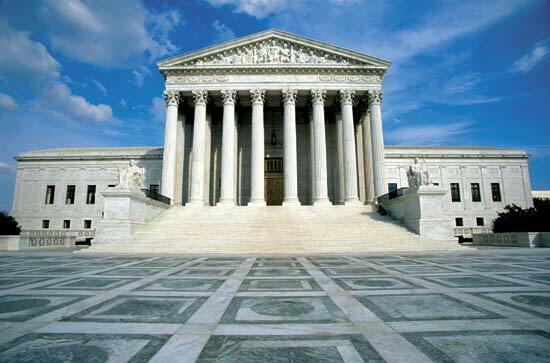 This morning I skimmed through an article about the implications of the Fisher vs. University of Texas case on the presidential race, which will go before the US Supreme Court in August. A few days from now actually. The case was on my radar screen but not glaring. I didn’t finish the article because I became more intrigued about the actual case. So I started searching online to learn more about the substance of the case. The young lady suing the university is claiming that she was racially discriminated against and thus denied admission for fall 2008. I began to wonder about the concrete evidence that she has to prove her allegation. How could she obtain such evidence? How could she clearly know that of the 12, 843 admitted after 29, 501 applications were reviewed for fall 2008 admission that she was discriminated against based on her race? Just merely looking at the figures, what caused her to think that her race was the sole factor for her admissions denial when she had to compete with thousands of students; thousands of other white students at that? After a little time searching the internet, I really did not find anything discussing every detail of her argument. Plus I figured since I am not in the legal profession I probably would get lost in the legalese and become confused; so I stopped searching for that piece of information. What is clearly stated though is that the crux of her case is that the university already achieves sufficient levels of diversity through its race-neutral admissions practice through its Top 10% Rule. Thus factoring in race for those that were not in the top 10% of their high school graduating class (as was the case for this young lady) applying to the university violates the Equal Protection Clause of the 14th Amendment. Even though back in 2003, the Supreme Court ruled that race can be a factor in admissions policy and the state of Texas, in 2004, determined that in some cases race can be a factor as well. The lower courts have ruled in favor of the university and as I mentioned earlier, the case is headed to the US Supreme Court. Enough of the background details…what struck me is the phrase sufficient levels of diversity. What authority determines whether or not there are sufficient levels of diversity? And why can’t those levels be exceeded if achieved? A logical response to the first question is that sufficient levels would mean that the compositional diversity of an institution should be proportional to the compositional diversity of the general population. Assuming that the gripe really is against the admittance of black and Hispanic students over white students at the university, 26.1% of first time freshman entered in fall of 2008 were black and Hispanic compared to 51.2% that were white (page 19). Assuming that the census figures for 2008 are similar to 2011, 50.3% of the Texas population are black and Hispanic. These data show that the diversity levels are not proportionate to the general population. Looking at Texas high school graduates data, just over 252,000 students graduated in 2008, with nearly 54,500 attending a 4-year public institution. Of the 54, 500, 51.2% were white, 13.5% black and 27.4% Hispanic. So based on the minor data research that I performed, the Top 10% Rule is not achieving sufficient levels of diversity. From my assessment, factoring race into the admissions process for remaining applicants seems like a fair practice and even with employing that practice, UT Austin still did not have sufficient diversity levels. Onto my second question…this paragraph should not be as filled with hyperlinks as the previous three…even if the “levels” were achieved why can’t they be exceeded? I did not know there was a diversity cap for higher education. I am reminded of the idea of quotas. Even if quotas were imposed, they are just minimal requirements. Going beyond is not a crime. I am really trying to find an answer that is not cynical. But I do not know that I can. What I do know is that in light of Chief Justice Roberts “compromise” on the Affordable Care Act, and the fact that Justice Kagen has recused herself from this case, I do not expect a favorable ruling for diversity advocates. This case is one to watch. Over the past few years I have heard arguments about the relevancy of HBCUs and other minority serving institutions of higher education, depending on how the high court rules in Fisher vs. University of Texas there may be more proven reasons that such institutions are now more relevant than ever.